Electronic timers provide fast, high precision accuracy and resolution feedback of timed process events in diverse factory automation and industrial manufacturing applications. 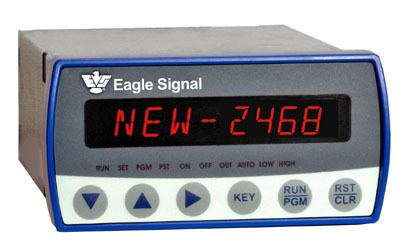 All have a modern appearance, offer precise digital setability and choice of LED or LCD display to meet virtually any production tracking or monitoring requirement. 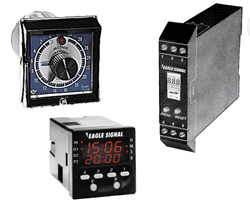 They are rugged and reliable and available in many forms, including time indicators, reset timer and repeat cycle timer varieties. Electric timers use the accuracy of a synchronous motor to display time or control devices by measurement of time intervals. They are rugged, simple to use and provide a long service life. An elapsed timer (also called time totalizers or hour-meter) measure how long a process takes. They provide a display of elapsed time but do not control the process. 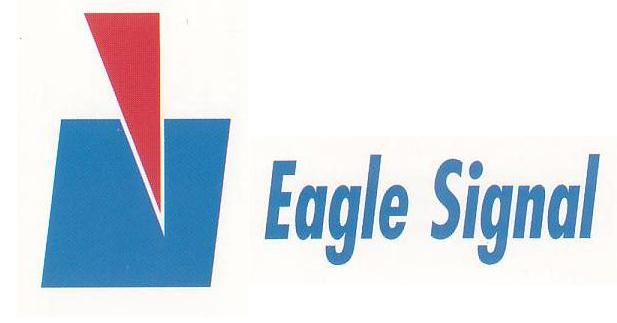 Eagle Signal Brand electric timers come in four varieties, including elapsed time indicators (such as a digital hour-meter), reset timer, repeat cycle timer and sequencer. 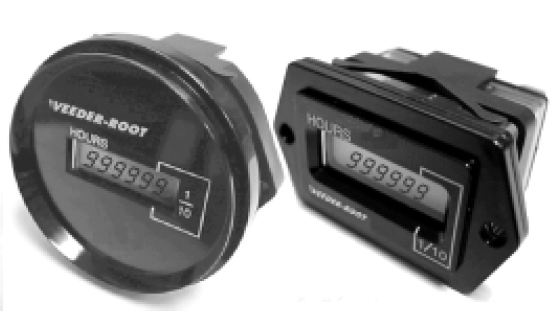 EHM Serties, hour-meter provides an industrial environment time monitoring function. • Wide industrial temperature range.